Remember the belle époque? 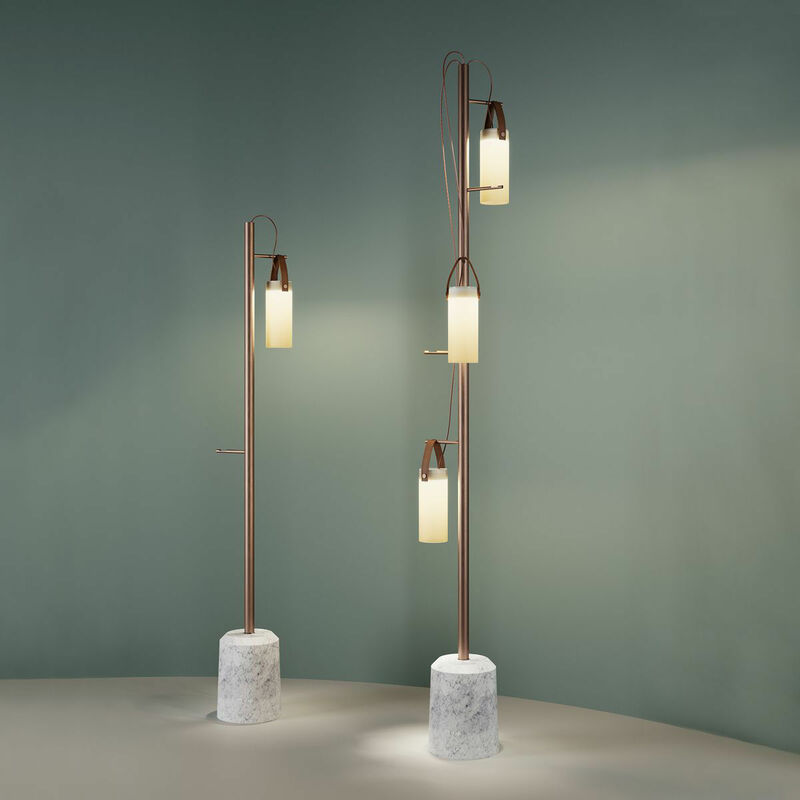 The Galerie floor lamp, designed by young Italian designer Frederico Peri, offers a mix of noble and refined materials: a marble base, a structure with a metal bronze finish and diffusers made from blown glass and leather. 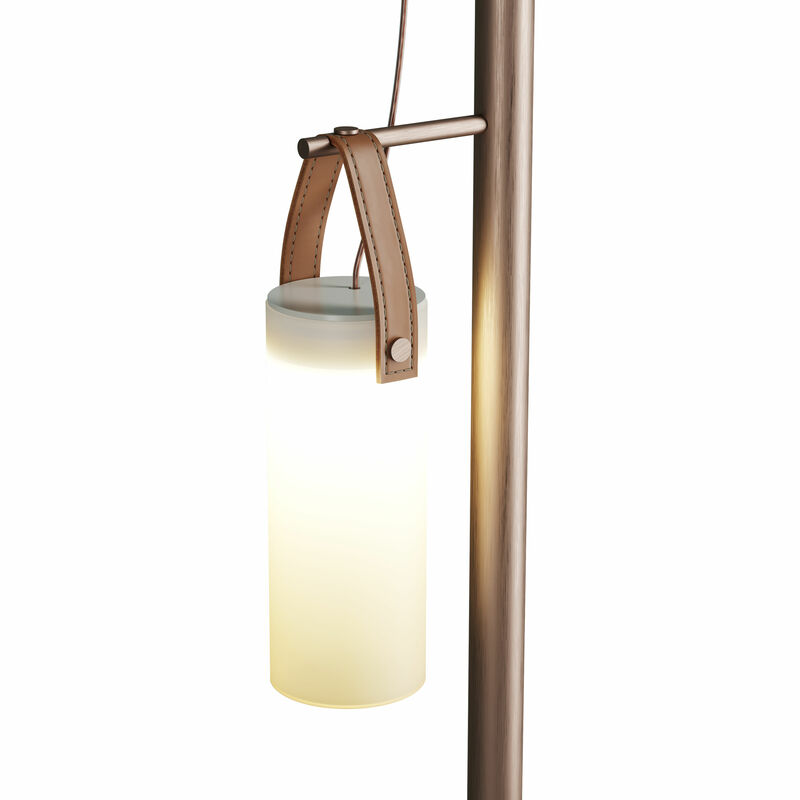 This floor lamp is a new take on the old, late 19th century street light. The Galerie is characterised by its three mobile diffusers, both aesthetic and functional, inspired by the old oil lamps. Their long glass tubes comprise four layers of blown glass in two different colours. The diffuser is white when turned off and takes on an amber hue when turned on (like the colour of a flame). Each diffuser has an elegant natural leather strap. They hang freely by this strap from one of the structure’s five branches (the cable length is adjusted automatically). These three mobile light sources can be used in different positions and at different heights according to your needs: reading, ambient lighting, etc.